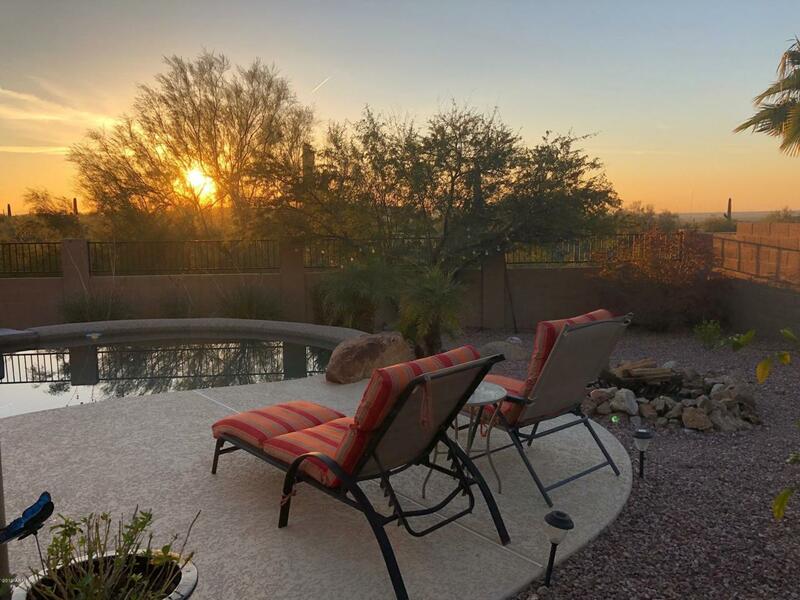 Beautiful sunsets and mountain views, from this 4 bedroom, 2 1/2 bath, vaulted ceilings, partially remodeled home. 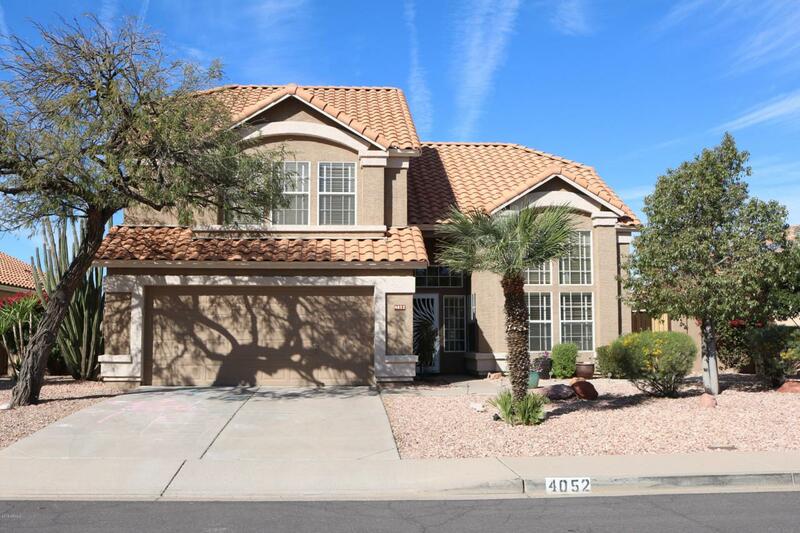 Newer stainless steel appliances, granite counters throughout, master bedroom downstairs includes walk-in closet, and patio doors with views of large pool. 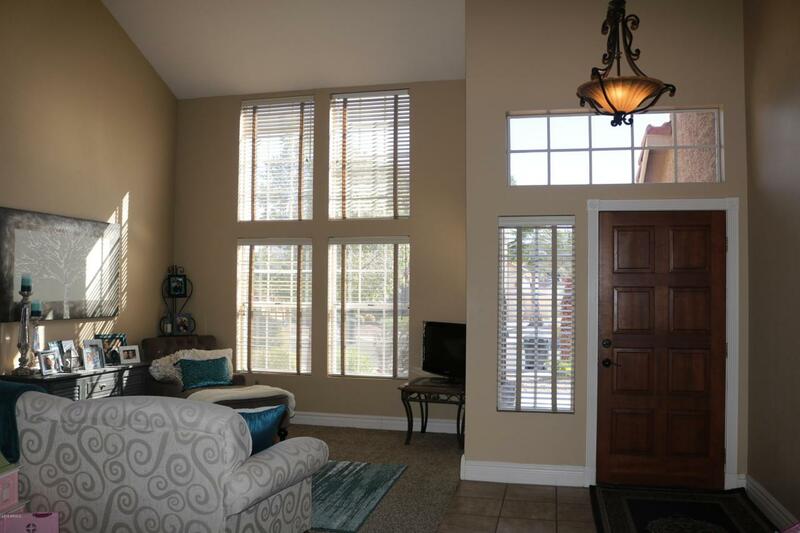 Three bedrooms upstairs, and full bath with granite countertop and double sinks. The backyard has a beautiful pebble tec pool, covered patio with play area, view fence for gazing at miles of desert views. New AC in 2014, new pool pump in 2017, and many other updated and replaced items. The home is move in ready. The chandelier in 3rd bedroom does not convey.